He always had “cool” and “casual” in mind, here he styled his slick short hairstyle while walking the red carpet. His length is uniform cut all over to encourage his natural waves. Do you love this look? 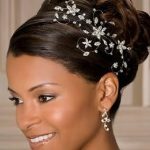 A lot women love this hairstyle very much, so do I! If you want to get this hairstyle like Bradley Cooper, first things first: grow out your locks. Cooper’s hair has mostly been medium-length to long. So if you have a buzz cut or a high and tight, lay off the clippers and let those strands grow. You’ll know it’s long enough when hair from the top of your head touches below the top of your ears. 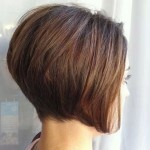 If you meet these requirements, you can try this cut, just download this picture and show off your hairstylist. This comb back hair style is great for mature men over 30. Please note that this cool casual look needs only a little product to style.